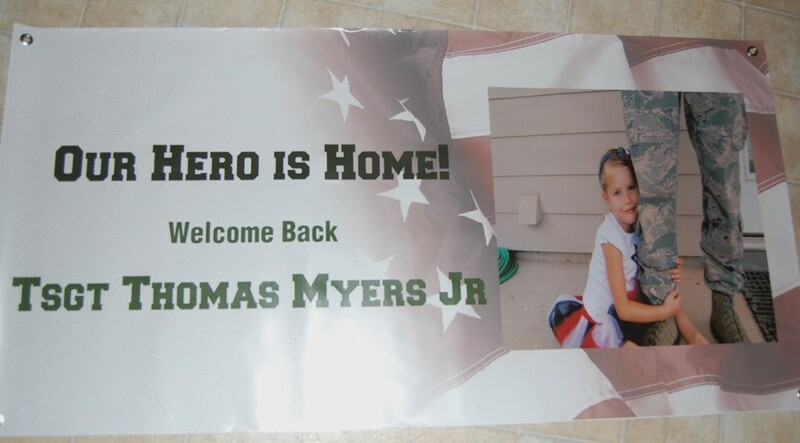 Since Tom is deploying I knew I wanted him to get him a welcome home sign. This is from the wonderful folks at Signazon.com. They have awesome custom banners, car magnets, and stickers. Plus more! Yes, it’s early. Tom hasn’t even deployed yet. But I’m glad that I have one waiting because honestly, with all the chaos that happens when he’s gone I probably would have forgotten. The sign is well made and I loved that after I ordered it I had an e-mail explaining different ways to display it. I won’t have to worry about it falling apart because it’s not going to rip easily and I know Tom will love it. 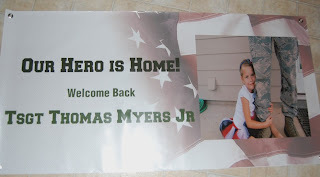 So if you’re looking for a welcome home banner for your hero, I would definitely recommend Signazon! But I'm sorry he has to deploy. Take good care of yourself!! !